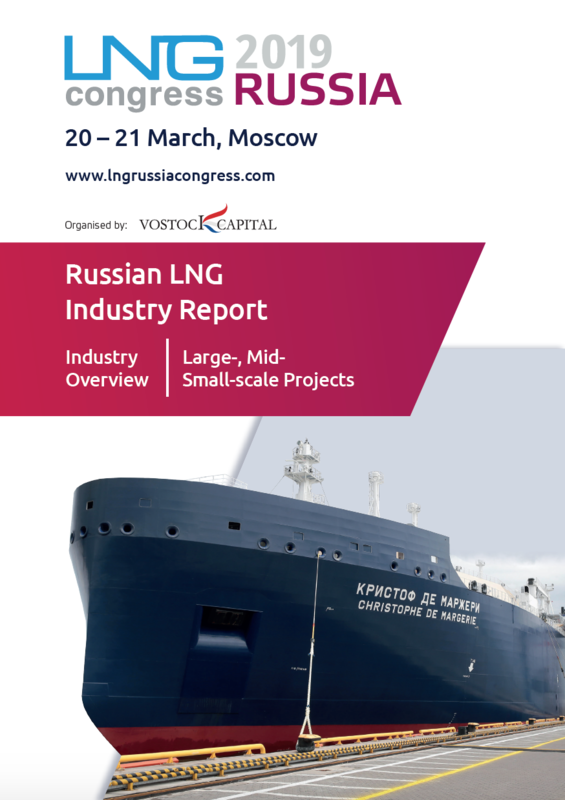 Natural Gas World in conjunction with Vostock Capital, the organiser of the LNG Congress Russia 2019 (20-21 March, Moscow, Russia), is pleased to offer a Russian LNG Industry Report. Prepared by Vostock Capital team of analysts, this special addition provides an industry overview and information on new LNG projects, including Arctic LNG 2, Yamal LNG, Sakhalin-2, Far Eastern LNG, and other LNG projects of Russia. We hope you will find it informative. LNG industry in Russia is developing rapidly. The industry has all key prerequisites for growth such as a significant natural resource potential, proximity of projects to international markets, and potential for expanding the existing projects with relative ease. Russia expects its global market share in LNG to stand at 15 % by 2025. Now there are two large-scale LNG production plants operating in Russia: Sakhalin-2 (Sakhalin Energy Investment Company), and Yamal LNG (NOVATEK). Arctic LNG 2 project, the next project by NOVATEK, will have an estimated cost of $20 bn. Another large-scale LNG project is Baltic LNG (Gazprom). The plant’s projected commissioning is scheduled for 2022-2023. Approximate project cost exceeds $11 bn. Far Eastern LNG is a joint project by Rosneft and ExxonMobil. Project cost is estimated at $9,8 bn. While oil and gas giants Gazprom and Rosneft are active in the Far East, NOVATEK wants to expand in the Arctic. NOVATEK’s own long-term goal is to produce 55 million to 60 million tonnes of LNG per year by 2030. Mid- and small-scale are also intensively developing in Russia. At the moment there are more than 13 ongoing projects: Сryogas, Gazprom GMT, Dalgasresurs, TopGaz and many others. The total investment in Russia’s mid- and small-scale projects exceeds $ 1 bn. To learn more about current and planned LNG projects in Russia, current trends and business development opportunities in Russia’s LNG, download the detailed report.